Multifidus – an often overlooked but key cause of back pain in Australians. Back pain debilitates around 80% of all people at some point in life – a problem that affects one’s mobility and sometimes, quality of life. The true causes of back pain can be diverse – strained muscles, injury, structural problems, posture, and movement, but today the team at The Brisbane Spine Clinic want to shed some light on a cause of lower back pain that is quite foreign to most, Multifidus. Multifidus is one of the most overlooked causes of back pain so let us explain why and what it all means. 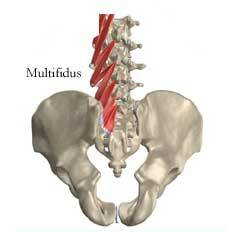 The multifidus is a thin muscle that plays a crucial role in the stability of the spine. The multifidus attaches at every vertebra, meaning that it is involved with the stability and health of the spine at every vertebral joint. The weakening of this muscle – from immobility, a sedentary lifestyle or pre-conditions may cause important muscle tissue to be replaced with fat. In medical terms, this is known as the deconditioning of the multifidus muscle. If your multifidus is in a bad condition then “going under the knife”, spinal injections or medication may not be an effective way to resolve pain caused by this underlying factor. The first step is awareness, hence our article. The next step if prevention of the problem where possible: exercise and activity are a great way to prevent this problem in your spine. Atrophy and degeneration might be real risks as you get older, but they’re not set in stone and exercise can reduce your risk and strengthen the multifidus before it starts to be a problem. If however, pain is present then seeking treatment from a qualified spinal consultant like the team at the Brisbane Spine Clinic, will help. How We Identify A Multifidus Issue. An MRI on your multifidus provides an amazing amount of info on your individual case – what your multifidus is doing, how much muscle you’ve lost, and how we can begin to approach rehabilitation and recovery. MRI scans that show the level of deconditioning, weakening and fattening in the multifidus can be used to grade you and understand the level of remedial exercise and strengthening necessary and specific to your case. Essentially, this means that you will receive a treatment program individualise to your needs. Once the cause is identified, our approach to the treatment of a deconditioned muscle is a well-planned strengthening and rehabilitation process depending on the level of deconditioning. Multifidus pain needs to be treated with a program that also incorporates control of the muscles and improved proprioception. This means a greater degree of control, as well as returning to healthier levels of muscle mass in the region. Our physiotherapy focuses on training the spinal erectors, and the multifidus in particular, as part of integrated movement. In simple terms, this means you’re going to get a stronger back but our rehabilitation routine also demonstrates how to control that muscle and puts you back in control of your body. Treatment without the need for invasive surgery! Treating multifidus degeneration is often overlooked but once identified, we can categorise the severity of your problem and determining how to deal with it. Our goal is to give you the best chance to recover and rehabilitate against the problem – something that’s been shown to reduce future instances of back pain! If you, or your patients are dealing with back pain, speak to us about our Spine Special Consults at Brisbane Spine Clinic and we can help identify the true cause of back pain and the steps required to treat. 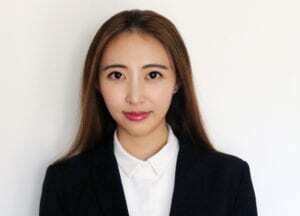 This article was written by Ms Jiaming (Caroline) Sui. Caroline is a Women’s Health Specialist and Spinal Consultant at The Brisbane Spine Clinic. PreviousPrevious post:Perineal TearsNextNext post:Can Physiotherapy Help with Tension Headaches?